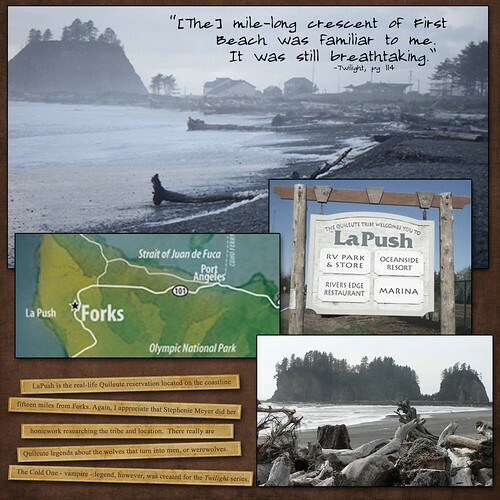 To go with the Forks page, here is page about La Push. Photos are ones I found online of the real La Push. The background paper is from the Jacob kit at http://ellielash.com/. The journaling strips are from Shabby Princess, Harvest Spice freebie kit.